Deciduous perennial. 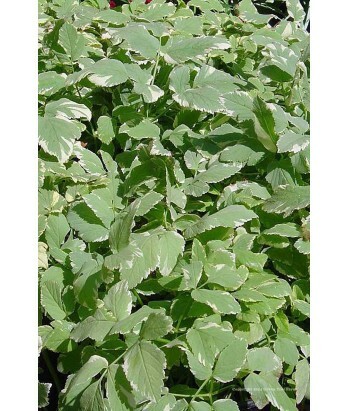 Vigorous spreading ground cover with cream and green variegated leaves. Indispensable ground cover for dry areas, although it can be an aggressive spreader in moist soil. Tidy up rampant growth with a lawn-mower. Moderate water needs once established. Adaptable to various soil conditions. Hardy to 0°F or below.